. . . listing cancelled (out of business) . . .
Luvn2jump rents out party inflatables for all ages. We have obstacle courses, slides, bounce-houses and more. Check us out at luvn2jump and reserve some fun. 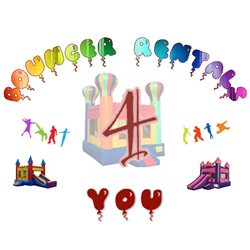 Bouncer Rentals 4 You in Elk Grove, CA is a family owned inflatable bounce house rental company serving the Greater Sacramento, Stockton and nearby areas in Northern California. Our commitment is to provide safe, affordable, and clean fun at the lowest cost to you. We value your children’s safety and enjoyment. Before our jumpers are delivered they are fully inspected and thoroughly cleaned and sanitized.
. . . image no longer available . . .. . . listing cancelled . . .
Magic Bounce Moonwalk and Party Rentals has the best selection of inflatables in Minnesota including: moonwalks, bounce houses, bounce and slide combos, giant slides and obstacle courses, velcro wall, bungee runs, jousts, and very large inflatables perfect for large events and festivals. Our professorial staff provides the delivery, set-up, and take down, of all equipment ensuring a hassle-free event for your special occasion. 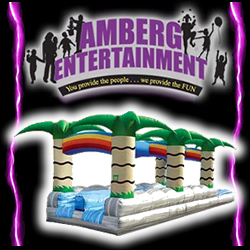 Additional rentals such as concessions and games are also available with Magic Bounce Moonwalk and Party Rentals of Minnesota. … listing cancelled . . .
Chicago Moonwalks – We provide clean, sanitized, safe units. Jumpers, Moonwalks, Waterslides & Combos. Frozen drink machine, Popcorn, Cotton candy, Snowcone, Nachos, Hotdog Grill. Party favors. 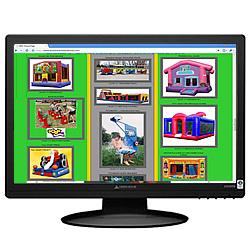 Inflatable interactive games, carnival games, and dunk tanks. Serving areas: N. Chicago, NW. Chicago, W. Chicago suburbs and Northern Chicago area – Illinois. Serving the North, NorthWest, and West Chicago suburbs and Northern Chicago area. Fully insured. 55+ Inflatables available. Indoor/Outdoor units, Indoor/Outdoor Bounce-Slide-Obstacle Combos, Wet/Dry Slides, Obstacle courses, Children’s Inflatables, Carnival/Family/Inflatable games, Fun Foods (Concessions), Trackless Trains, Balloon Twisting, Airbrush Tattoos, D.J. Call . . . to talk to a friendly Bounce ‘N’ Celebrations representative for any questions you might have.
. . . listing subscription cancelled . . .
We are your number one party supply company. The next time you are looking for a bounce house or concession items such as popcorn machine or snowcone machine, give us a call. Need tables and chairs? No problem, we carry those too. Also, don’t forget your party supplies like cups, plates and napkins. We got you covered. We love parties too. Invite us, you’ll be glad you did. Jacksonville Bounce House Rentals is focused on providing high-quality rental service and customer satisfaction. We will do everything we can to meet your expectations. 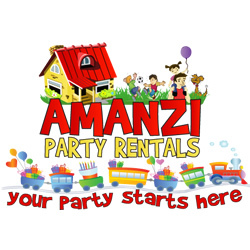 With a variety of party supplies to choose from, such as inflatable bouncers, water slides, concessions items, tables, chairs, linens and many other rentals, we’re sure you’ll be happy working with us. Jamaya Moonbounce Party Rentals is you number one source for your Moonbounce and Party Rental needs. We service the Washington DC, Maryland, and Northern Virginia areas. We have all Themed Moonbounces Tinkerbell, Dora, Diego, Spiderman, Spongebob, Toy story, Tweety Bird, Disney Princess, Combos, slides etc. Please call (listing cancelled) to have that special Moonbounce! We are fully insured. We can provide service at all parks! !